What seemed to be a dream that many believed would eventually fade away is well on its way to becoming a reality. 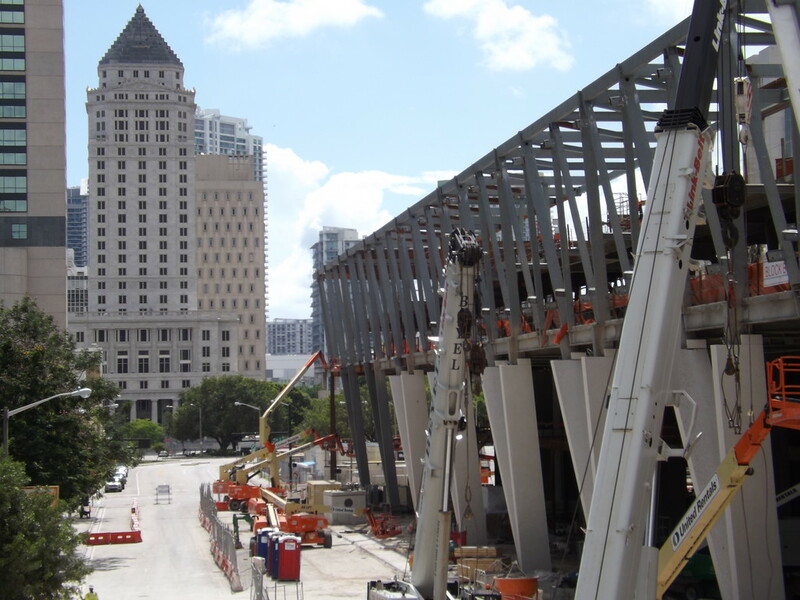 In 2011, Florida East Coast Industries (FECI) announced plans for a privately funded passenger rail system envisioned to transform the way people travel throughout Florida. Despite years of anti-rail opposition, operations are expected to start before the end of the year on ambitious project that combines rail transit with transit oriented development. Here is a brief overview of where the $3 billion privately funded passenger rail project currently stands. I read a few days ago that AAF plans to have crews in Orlando to begin track construction in December. Has anyone seen how they plan to get from the mainline in Cocoa to the St Johns. I haven't seem anything on that piece and there doesn't seem to be room along 528 in that area to run the tracks. I've seen them. I believe it branches off the FEC mainline just south of SR 528. Service starts on Saturday. Fares start at $10. First class starts $15 one-way. Seniors, active military and veterans get a 10% discount. Children under 12 get a 50% discount. These are supposedly discounted fares for launch. Following up on this, I finally found the plans and you're correct. They're considering potential segments outside FL. Is our city lobbying these guys hard to bring the line to Jax sooner than later. I think what they’re doing is really cutting edge, and I think there’s potential for this to be fairly stimulative to downtown. Did someone say we already have tracks they could use on up to Jax? Yes, I put up an article on moderncities.com last night: https://www.moderncities.com/article/2018-jan-brightline-launches-eyes-expansion-to-other-states. Brightline already partially owns the FEC corridor through downtown Jacksonville and has secured the rights to operate their passenger rail service into Jacksonville. To be profitable, they believe they need to capture 2% of the 100 million annual trips between Orlando and Miami. Of those who believe that fixed transit spurs economic development, this is your best chance of seeing a major investment in Jax anytime soon. It comes off the Mainline Just after passing under the SR-528 Bridge Northbound. If you check the aerials you'll see a huge Cement/Rock load facility, and the Brightline will sweep around this curve then head west initially on the North side of the highway, then cross over to the south side around I-95. They changed the plans. The alignment curves west off the FEC just south of SR 528. Plenty of room on either side. I like the new plan better as it requires one less bridge over the Beachline SR-528. The original plan would have benefited from some existing infrastructure but that’s pennies to flush compared to the dollars for another overpass. I knew over close to MCO/OÍA they’ve moved somewhat south of the 528 to save on bridging freeway interchanges. Makes sense to bridge a road rather then the whole interchange.